You know me… I LOVE cooking desserts! Some days I want some chocolate, and some days I want something “lighter”, with fruits. 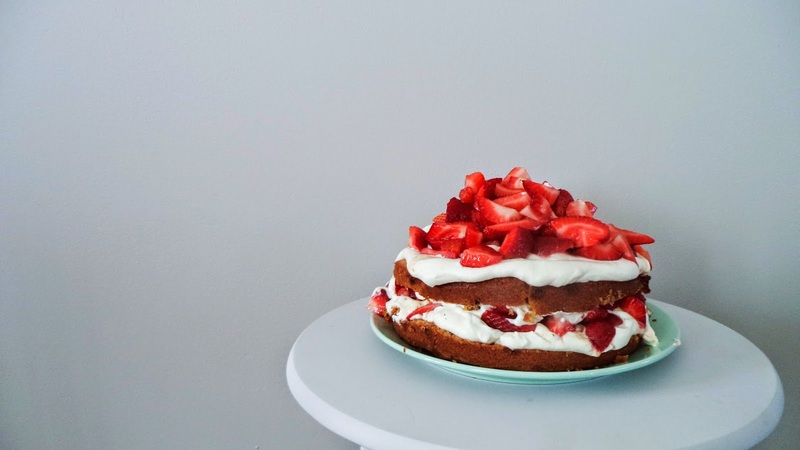 Today, I wanted to share with you one of my favorite cakes ever, a strawberry shortcake. Again, don’t be afraid, the recipe seems to be complicated, but it isn’t! 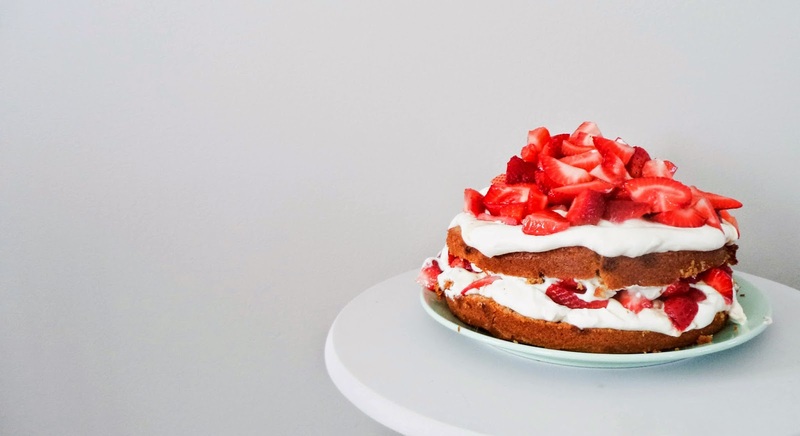 There are only four main stages: the cake, the whipped cream, the strawberry salad and the assembly. It sometimes doesn’t take a lot to make a very nice effect! - Place the rack in the center of the oven and preheat to 350 °F. Butter a springform pan of 8 inches (20 cm) and line the bottom with a parchment paper. - In a bowl, mix the whole wheat flour, the baking powder and the salt. - In another bowl, combine the butter, the sugar and the vanilla extract with an electric mixer. Add the eggs, and once the mixture is homogeneous, add the milk. - Add the dry ingredients and the chocolate chips. - Spread half of the mixture (approximately) into the pan and bake for about 30 minutes. 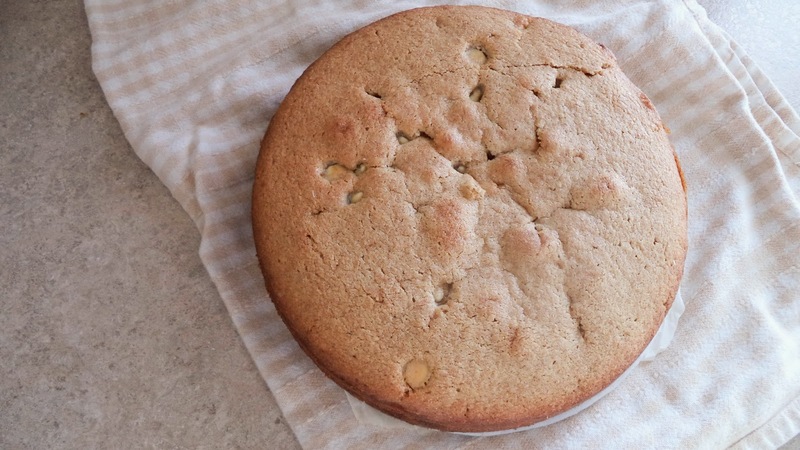 - Wait until the cake is warm before you unmold it, and cook the second half. Tip: I really do not recommend to make just one cake and cut it in half. This is what I did and the result is not the most aesthetic… The cake is still as good but I prefer to make two and have a better result. In a bowl, whip the cream with the sugar and the vanilla extract until you can return the bowl without everything falls down! Tip: Put your bowl and your mixer tips in the freezer an hour before. For the strawberry salad, I just go with my feelings, a touch of sugar, a bit of vanilla extract, and of course, a lot of maple syrup. Then, I like to wait an hour, just to let the flavors mingle. 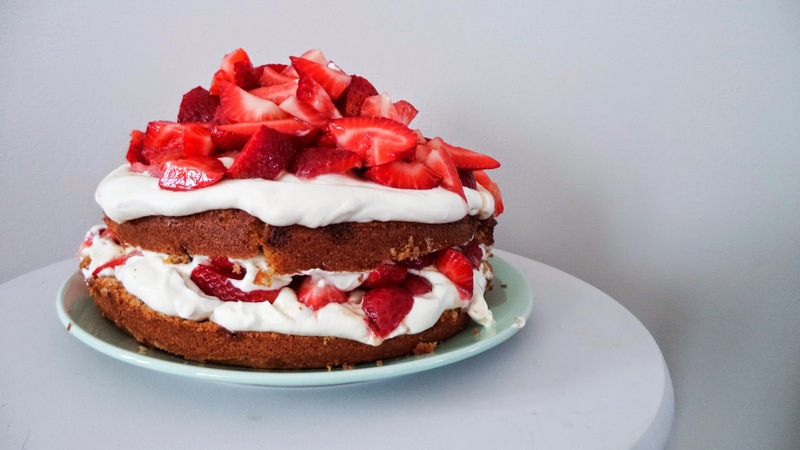 - Spread about 1/3 of the whipped cream on one face of one cake. - Add approximately half of the strawberry salad. 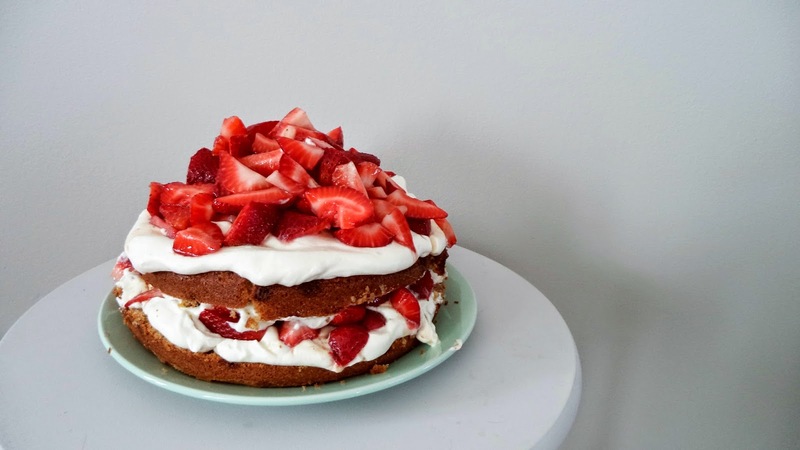 - Spread another 1/3 of the whipped cream on one face of the other cake and put it on top of the strawberries. - Spread the last 1/3 of the whipped cream on top, then the rest of the strawberries.